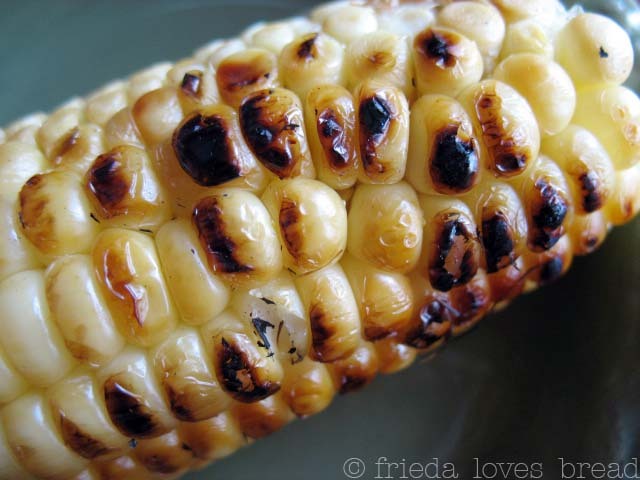 Frieda Loves Bread: Fire Pit Corn on the Cob -Roasted is Always Better! 19 Fire Pit Corn on the Cob -Roasted is Always Better! 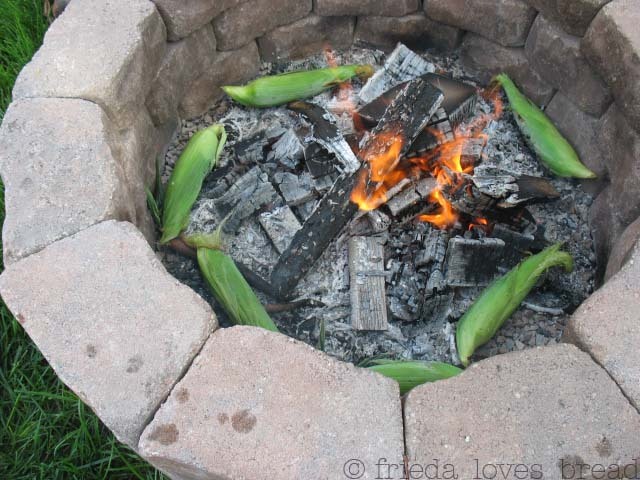 When a neighbor of ours gave us some awesome sweet corn last year, my hubby threw a couple of cobs into the fire pit. The result? A sweet, smokey tasting corn that we all loved! It begins with fresh, sweet corn. Corn on the cob begins to lose its sweetness the minute it is picked. 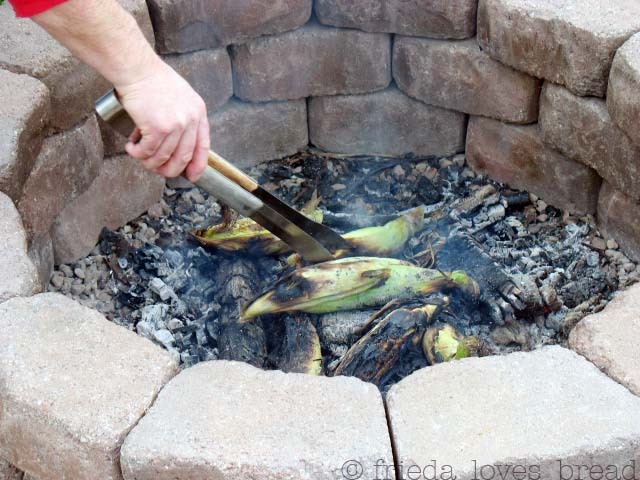 We grill our corn using this method every summer. It's easy: soak the corn in the husk, throw it on the grill, and bake! Freezing corn and enjoying it year round is great too...a great way to bring a little summer sunshine into a dreary winter day! My father in law found some corn on sale and gave us a few ears. I soaked the UNhusked corn in my kitchen sink filled with water while the fire was built. A bucket of water works, too. You want to put the soaked cobs directly onto the white, powdery coals. Not into the orange, fire-y coals. Turn them every 5 minutes or so, till the husks are black, about 25-30 minutes. As the fire burns, move the corn cobs toward the center of the fire. After 30 minutes, pull the cobs out and handle carefully with hot pads. 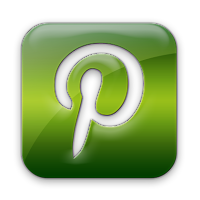 This is perfect for our family camping trips! We do potatoes in a similar way and the family gobbles them right up! Let me tell you how to kick it up. Rub just a bit of mayonnaise on the corn and sprinkle the corn with a bit of chili powder. Pull the husks back up and throw them in the pit. You will die. Couldn't agree more - roasted is ALWAYS better, whether it's corn, string beans, potatoes, or carrots! This gets me right in the mood for summer. Fun! What a great idea for our fire pit. 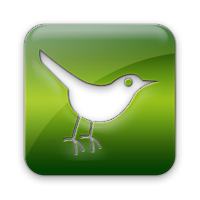 We're hoping to use it more this year. One of our favorite treats! We used to go to a giant punpkin farm and get roasted corn, and they would do it doctored up with butter, parmesean and sour cream- sounds weird, but it's AMAZING. I HIGHLY reccomend giving it a go!!! Oh my gosh, yes, I am sooo ready for summer. 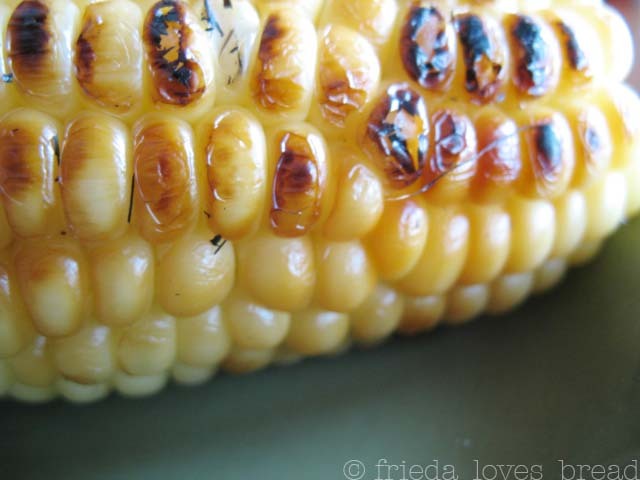 Roasting corn (or on the grill) is hands-down my favorite way to eat it. Wow! This is great ~ now I know how to "kick" up my roasted corn....mayo, butter, sour cream and Parmesan or chili powder sound amazing! What a great idea. I am trying this. It looks wonderful. Frieda I have to tell you when I saw this post on my iphone I thought the corn in the pit was okra, and I was confused for a second there lol. Looks delish. I grew up in Southern Ca. and we used to have beach parties and cook corn with beach water and in a huge metal trash can, new of course. The salt water made it perfectly salted...fond memories. We love corn! especially when its grilled. And I'm a bit jealous of high 60's - we've gone straight to high 90's in NC.